Import posts from multiple RSS feed sources and display RSS full text or excerpt as custom posts, while using keywords to filter content, assign imported content to categories or authors and more with this easy to use plugin. The WordPress RSS Importer Plugin by CreativeMinds is the best WordPress RSS import solution to display RSS full post text on your WP blog or site. 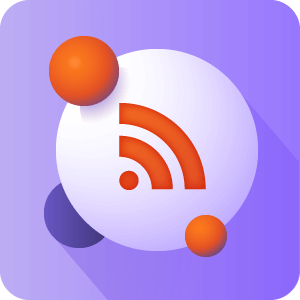 The RSS Post Importer Pro is an RSS feed solution that goes beyond simply aggregating RSS feeds by allowing you to create full feed to post content. The full text CM WP RSS Post Importer plugin is a powerful plugin and the most user friendly WP RSS feed aggregator on the market. 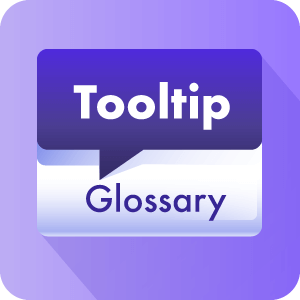 It allows users to import and aggregate RSS feeds from multiple feed sources while using keywords to filter content upon import. 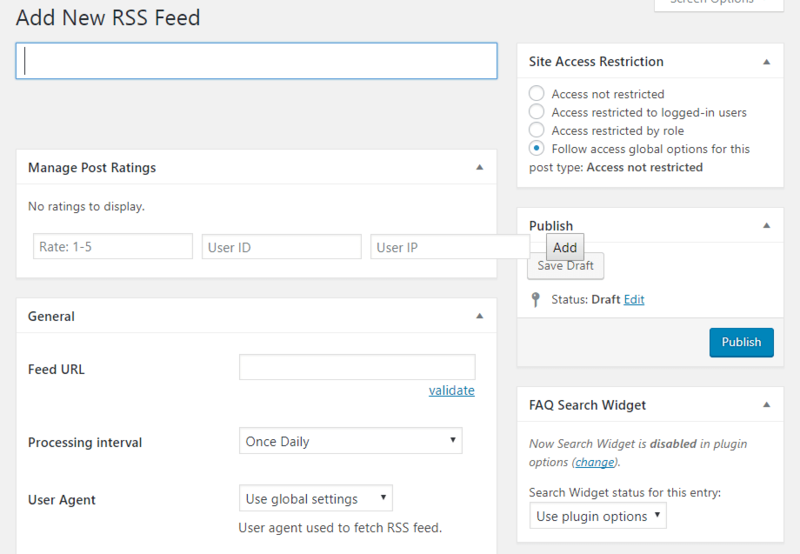 The WordPress RSS Importer plugin is a capable tool for importing RSS feeds. It is capable of syndicating, curating, merging and displaying RSS feeds and Atom feeds in full to your WordPress blog. It supports displaying full article content for each feed item as new stand-alone posts. 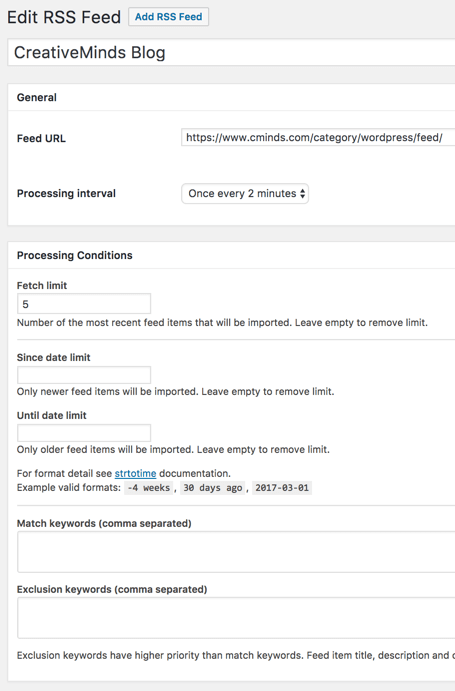 With our WordPress RSS full text feed solution you can schedule each RSS feed import frequency, limit the number of imported posts from each feed source, define keywords to filter content by, and define the RSS display structure of the imported RSS content on your site. The RSS Post Importer plugin will import RSS feed source content and publish full text RSS posts from one or several RSS feed sources to your WordPress blog or other custom post type that you have defined. Select which category to post articles under, post authors to use, and automatically assign tags to each post based on keyword matches. 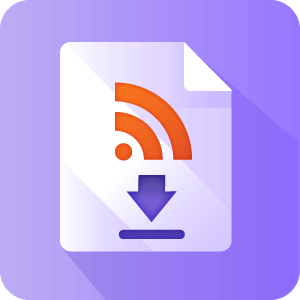 Our WP RSS feed import plugin is a great content marketing tool that allows site owners to syndicate content from their favorite RSS feed lists, recommend curated feeds, and gather a knowledge base on specific topics. 1. 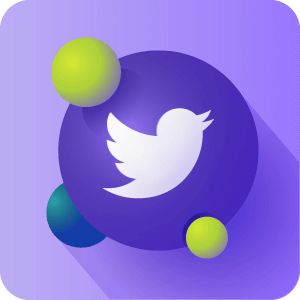 Start by entering the RSS feed URL of the source. 2. Choose the RSS feed import processing interval. 3. Define to which post type you would like to display syndicated feeds. 4. 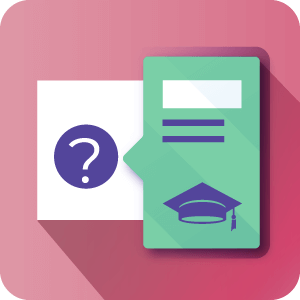 Set the author name, published date, category and post status of the new imported post. 5. Build a content template to define how the imported content will be shown. 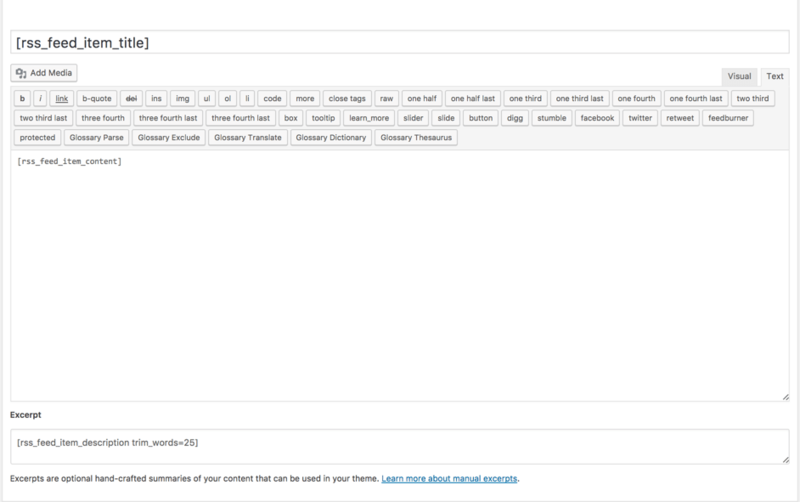 You can include HTML tags as well as a use shortcode to determine which sections of the imported content to include. 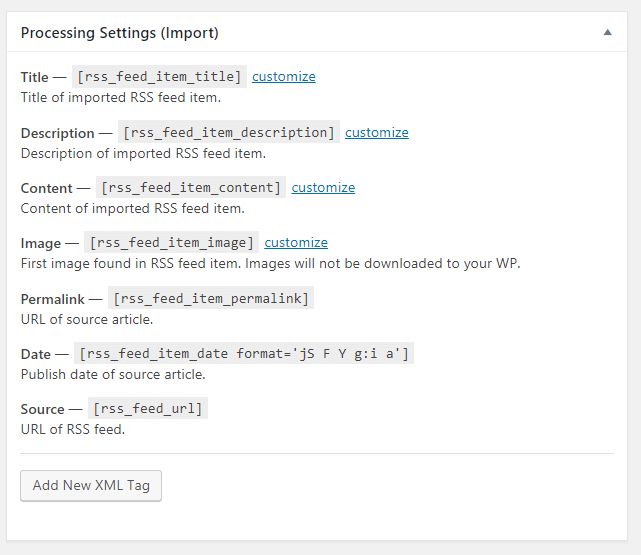 Import from Multiple Feed Sources – Define one or more import feed sources to import to your WordPress site with this RSS Feed Plugin. 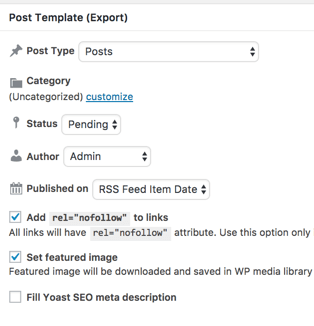 Full Text WordPress RSS Import – Full text RSS import means the entire text from an RSS feed source is imported, including images (optional), not just an excerpt. RSS Feed Import Timeframe – Define when and how often to import posts. 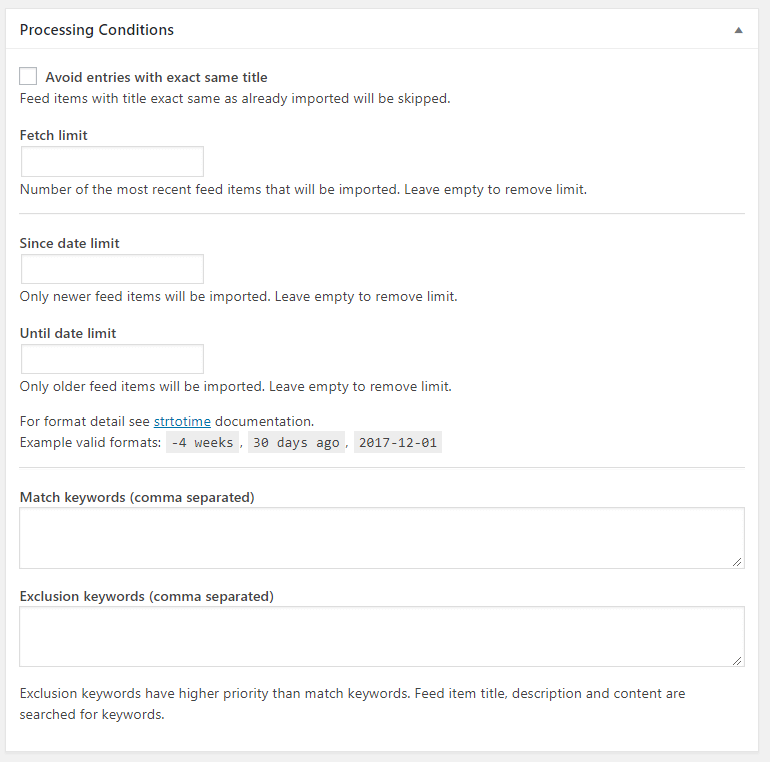 Post Importer Filters – Filter imported content by using positive and negative keywords. Limit Post Imports – Limit the total number of imported posts for each feed source. Post Type – Define the post type to use for displaying RSS content on your site. 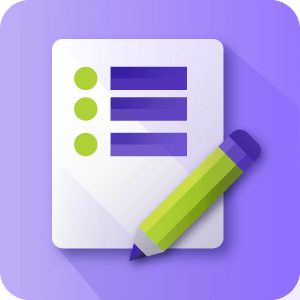 Author Name – Define the author name to use when posting imported content for each feed. Content Publish Date – Fetch content and define which publish date to use for imported content. 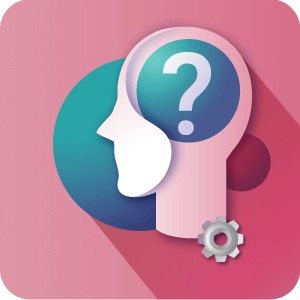 Imported Content Category – Define which category to use for imported content. 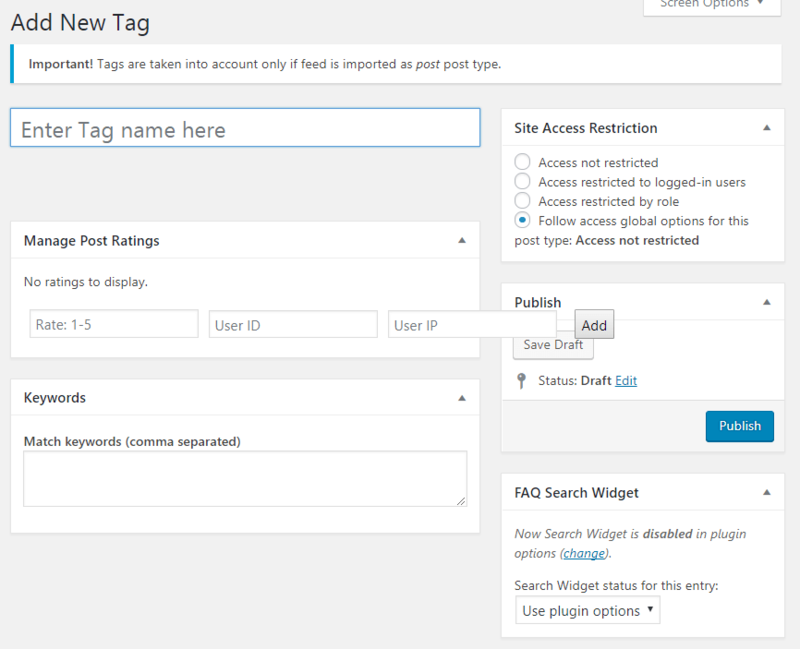 Imported Content Tags – Define which tags to automatically assign to posts based on post content. Post Importer Status – Define new imported content post status. Feed to Post Template – Build new post structure using an easy to use templating system. Include HTML and shortcodes inside the template. Shortcodes – Parse the imported content using a shortcode which can be used inside the post template. Post Importer Log – This feed to post RSS solution allows you to follow all imported content and rejected posts using imported feed log. Featured Image – This plugin also works as RSS image feed plugin. It allows you to import featured images and set them as such in new posts. Re-Import Feed – Import the same feed after changing import settings or the post template. SEO Support – Supports SEO settings such as no-follow and Yoast post metadata. How do I display imported feed items? Once you define the feed source you are able to define to which post type or custom post type you want to use to display the imported content. You can also control the title, author name, and the length of the content taken from the original imported post. The featured image is also imported. Some RSS feeds only give a short excerpt. Is there a way to change that? You can control the length of the content published on your post by combining content coming from the imported post content or by adding your own text. The imported post content is parsed into fragments which you can later use while building the template used for the post which will be shown on your site. That also includes the ability to include additional content in the excerpt field. But if the original RSS feed coming from the source is not exposing all the content in the RSS feed there is not a way to get is as we are scraping the content but reading the RSS feed. Is the number of feed sources I can use unlimited? Yes. You can use as many feed sources as you like. 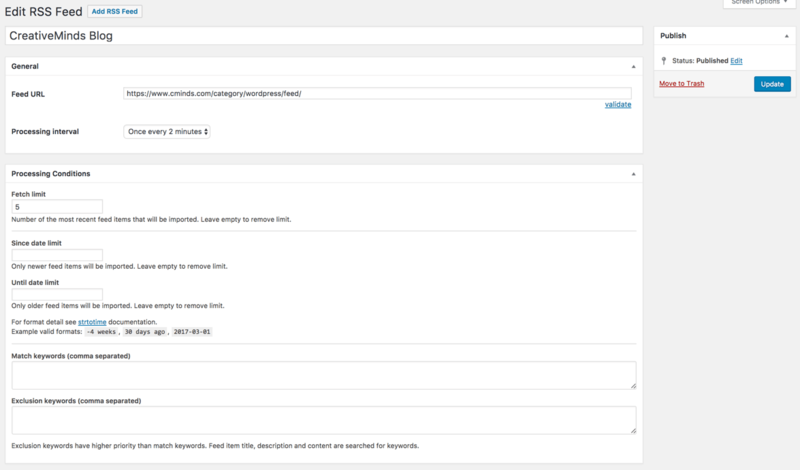 For each feed source you can define keyword filters as well as a unique content template so syndicated posts will match the original post structure. Yes. The whole idea of the plugin is to support importing full text posts (if it is available in the RSS feed source), including featured image and post excerpt and title onto your own site. You can structure the template of the imported content to be displayed the way you prefer on your site. Can you change where the RSS newsfeed posts appear on the site? Yes. 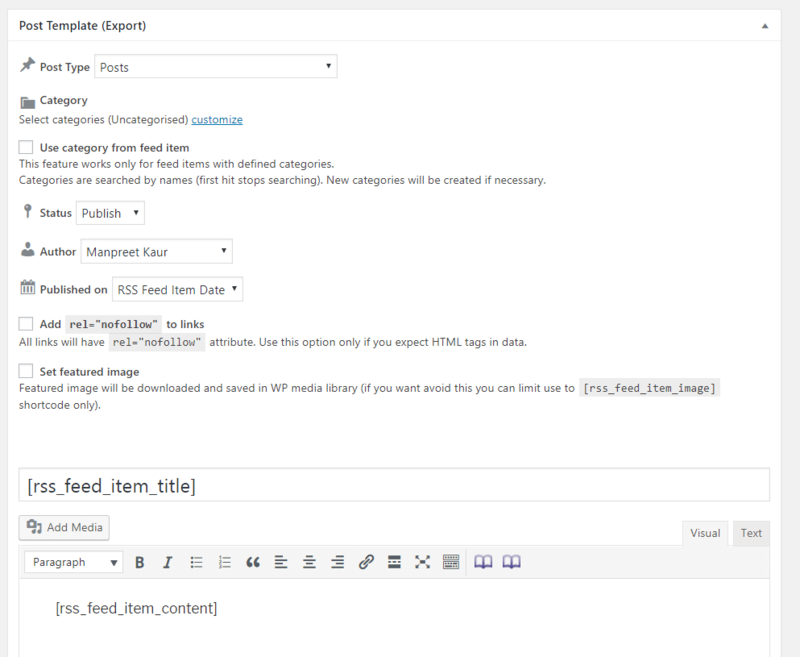 You can choose the post type by specifying custom posts, the category under which the post will be shown, add tags etc. If the RSS feed is protected by password, can you read it?